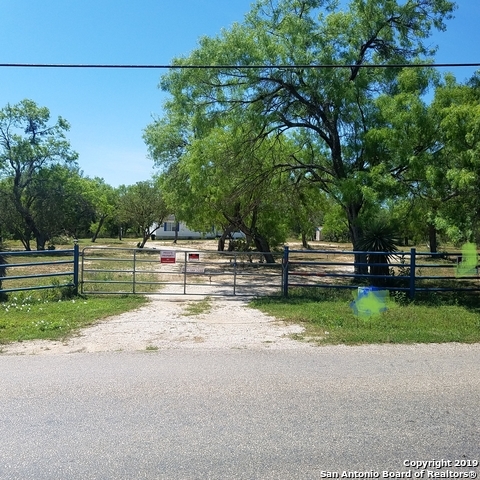 All Lytle homes currently listed for sale in Lytle as of 04/22/2019 are shown below. You can change the search criteria at any time by pressing the 'Change Search' button below. If you have any questions or you would like more information about any Lytle homes for sale or other Lytle real estate, please contact us and one of our knowledgeable Lytle REALTORS® would be pleased to assist you. 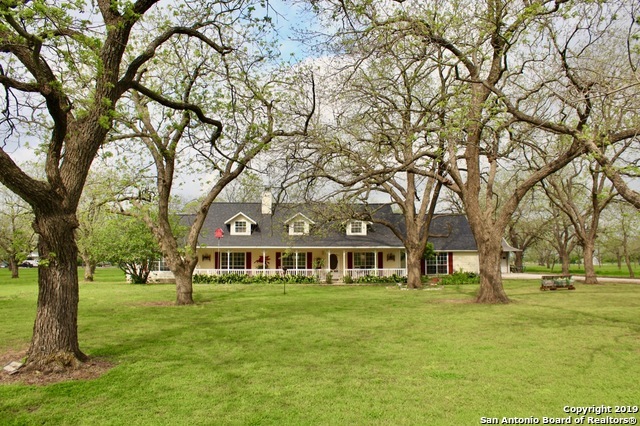 "This 4 bedroom, 3.5 bath home is nestled among many beautiful oak trees on 10 acres. 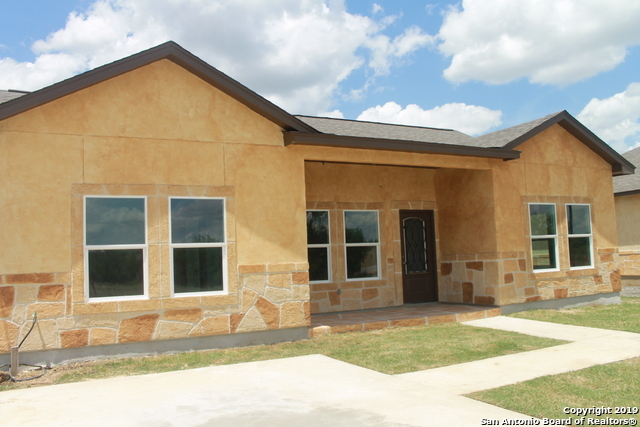 The home is very close to San Antonio with access to I35 about 5 minutes away. The home has an open concept with the kitchen being open to the living and dining areas. This kitchen has granite countertops, a vast amount of cabinets, an island with cooktop, and a bar that overlooks the living area. The home has a large game room/ workout room away from the bedrooms for more privacy." "First Time Offering this 4BD/4BTH, 3,307 sq. ft. home on 10 ac. 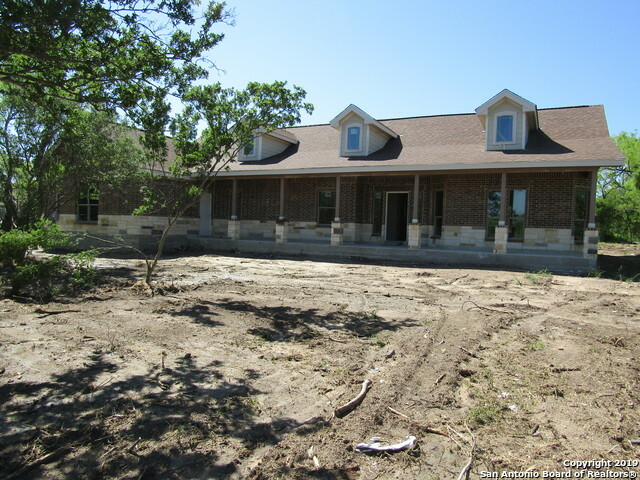 w/ open floor plan, 2 living/2 dining areas, rock fireplace, kitchen w/ walk-in pantry & breakfast bar & split master suite. Additional suite w/private bath, walk-in closet, kitchenette & loft w/ private entry. 40x44 shop w/ power, outside sink, 3 bay doors + 2 walk out doors, a lift and a 23x44 attached lean-to. 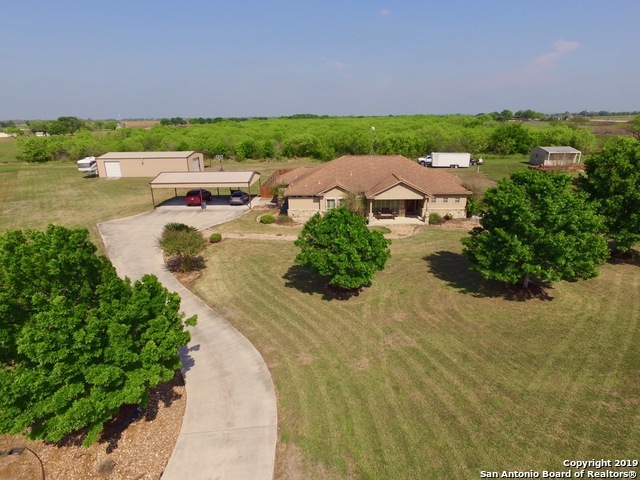 BMA irrigated property w/ 640 linear feet of gated pipe, 182 pecan trees, well for irrigation w/ East Medina Water to"
"GORGEOUS HOME READY FOR MOVE IN. HIGH CEILINGS, LOTS OF NATURAL LIGHT, OPEN FLOOR CONCEPT, LOTS OF SPACE. EACH BEDROOM HAS THEIR OWN BATHROOM W/ WALK IN CLOSETS. CHEF'S KITCHEN WITH TOP OF THE LINE APPLIANCES. BEAUTIFUL ELECTRIC FIREPLACE IN THE FAMILY ROOM. STUDY DOWNSTAIRS ALONG W/ MASTER + ADDT'L BEDROOM. GAME ROOM UPSTAIRS. AMPLE ATTIC SPACE FOR STORAGE. IN A NICE AND QUIET NEIGHBORHOOD WITH PRIVACY. ELECTRIC FENCE TO ENTER PROPERTY. SMALL STORAGE BUILT OUT BACK TO MATCH HOME. COVE"
"Beautiful 3BD/2BTH/2 Half BTH 2,707 sq. ft. custom home on 1.86 ac in Star Crossing w/ open floor plan, high ceilings, 2 dining areas, granite countertops th/out & island kitchen w/ walk-in pantry & high end stainless appliances including gas range top w/ downdraft & built in oven. Split master w/ secondary bedrooms sharing Jack and Jill bath. 30x60 shop wired for welding machine w/ water & 15x60 lean to + both 30 and 50 amp RV hookups on the exterior. Sprinkler system, concrete drive and 4 "
"This 4bed 3.5bath custom home features an open floor plan with coffered ceilings, crown molding and chair rail plus many more custom features. Just over 2900 Sq Ft with 100% tile floors, a covered patio area and sits on .45 of an acre. Home offers a split bedroom floor plan and one level living at its finest. Home is set up for gas and electric to accommodate your personal preference and all in a private, small gated community." "3/2/2 in Lytle, TX. Custom built home from TILSON Home builder. Granite Counter tops throughout. Tile in all areas except Bed2 & Bed3. Oil rubbed bronze fixtures throughout. Septic system, gas stove, water softner, island with a bartop are just some features. Imagine sitting out on the front porch on a nice Texas evening, enjoying the stars, peace, & quiet." 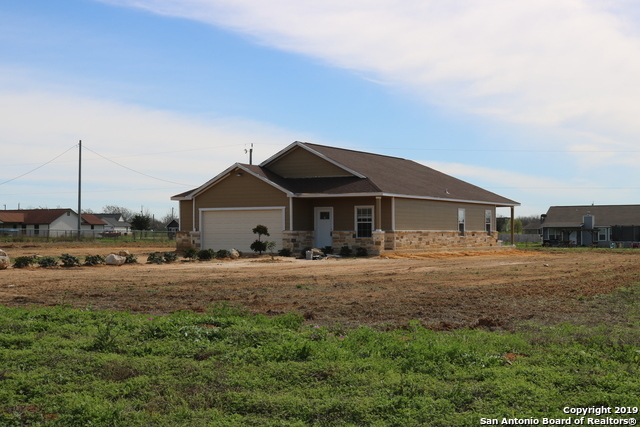 "COME SEE THIS NEW HOME UNDER CONSTRUCTION ON 1.7 ACRES. 3 BED 3 FULL BATH 2 CAR GARAGE. TILE FLOORS THROUGHOUT THE WHOLE HOUSE, GRANITE KITCHEN COUNTER TOPS, HIGH CEILINGS WITH CUT OUT, OPEN FLOOR PLAN, ETC. 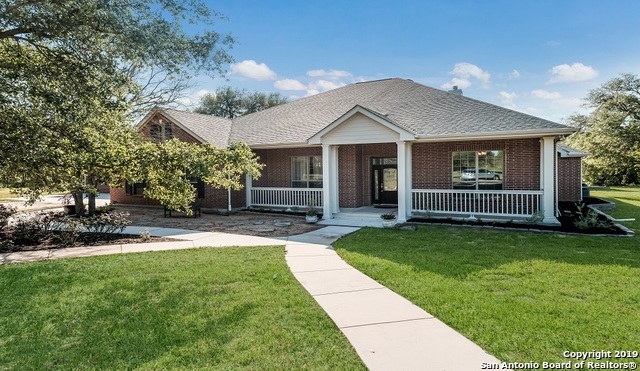 PROPERTY CLOSE TO LYTLE TOWN WITH H-E-B AND MANY CONVENIENT RESTAURANTS AND STORES." "Beautiful home on 1+ acre lot with a gorgeous garden setting and HUGE shop! Spacious country living with open floor plan. The yard is fully irrigated with a 24x38 work shop, an 8x10 garden shed, fruit trees, an herb garden and an in-ground garden bed. 3 minutes to schools, 9 minutes to HEB, 25 minutes to Lackland AFB. Close enough to San Antonio for the daily commute, but far enough away to enjoy small town charm!" "Under Construction, Own The Newest House On The Block With The Last 1 Acre Lot Available in the area. Builder Is Adding Personal Touches; Workshop In Garage, Ceiling Fans Throughout, Exterior Stone, Stove, Refrigerator, Dishwasher, Microwave, 4-Ton HVAC, Basic Landscaping. Please confirm room sizes." 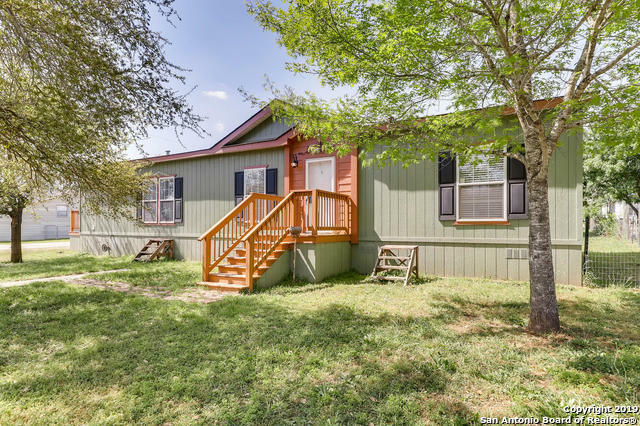 "If you've been looking for your own little piece of Texas...just close enough to San Antonio, don't miss this great single-story home on 1.5 acres near Lytle. Enter your personal oasis through a private electronic gate and get ready to spend quiet evenings on your covered patio looking out on...well, Texas! 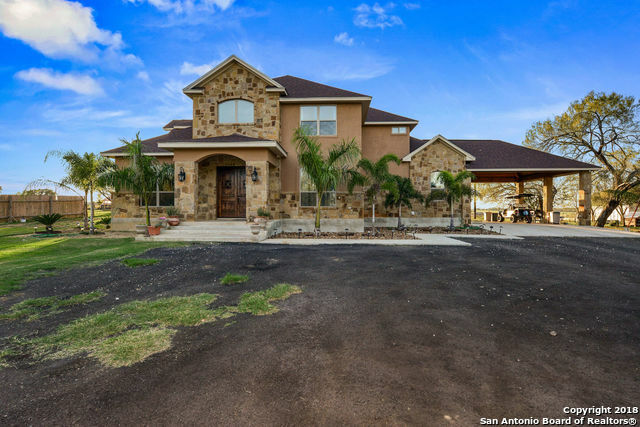 Inside you'll find open concept living, with stained concrete floors throughout, a large eat-in kitchen open to the family room, and a truly Texas-size master suite! Careful...you won't want "
"This house is fully remodeled. propane runs central AC/Heat, Washer and Dryer, Stove. All appliances are about 8 months old. This house has a solar panel system with 24 panels. a backup power generator for whole house. 500 gal propane tank. New double pane windows, 220 Volt power box on south side of house for RV/Trailer Hook Up. 16 camera security system with 6 cameras currently installed Custom Walnut cabinets soft slam throughout the house. HVAC system has an ultraviolet light to pu"
"Spacious 3BD/2.5BTH, 2,520 sq. ft., brick home on a 1.03-acre corner lot in Rolling Meadows w/ 2 living areas, LR fireplace, separate dining, large kitchen with tons of storage and breakfast nook with bay window. Mature landscaping w/beautiful trees to include century Oak located in the fenced back yard. Covered back porch extends the entire width of the house and is cooled by exterior ceiling fans perfect for entertaining. Oversized garage w/ additional shed for storage! Easy access to IH 3"
"Once in a while we list a REAL BARGAIN..HERE IT IS !! Very PRIVATE 5 acre Ranch that will make you feel like you are on vacation 365 days/year. Whaaat ?! This brand spanking new, glamorous home has it all. Starting w/ a HUGE kitchen w/ tons of cabinet & counter space + 5 burner stove that leads into the grand dining & very bright & open family rm. How about a XXL SHED w/ electricity & RV Hook up. Let's top it off w/ 2 HUMONGOUS covered patios perfect for entertaining & to enjoy those sunset eve"
"This 3/2/2 is exactly what you've been looking for! This home features an open, split floorpan with a 2 car garage on over an acre lot in the very well kept Lake Shore Estates neighborhood. Roofing shingles were replaced less than 3 years ago and the outside AC unit was replaced less than 1 year ago. Many windows throughout the home providing for substantial natural light. Fireplace, high ceilings, security system wiring, and back covered patio also complement this home. Must come see this one i"
"Property is was completely remodeled recently inside & out. Property is perfect for a home or a commercial small business. Very easy access to IH 35 SOUTH . Sit just outside of the city limits, No city taxes is a plus on this great investment.property. 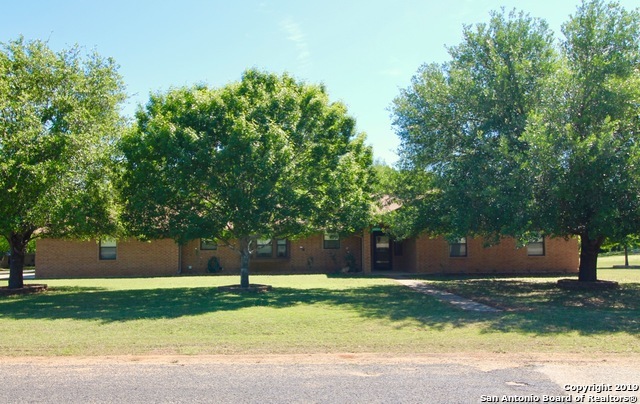 Home sits on about .39 ac with mature trees & landscaping.to add to the curb appeal. MOVE FAST-WON'T LAST!" "COME SEE THIS AMAZING 1/2 ACRE CUSTOM WITH TRENDING UPGRADES AND UPDATED FEATURES.. WONT LAST. COME SEE IT TODAY!!" "BEAUTIFULLY BUILT CUSTOM HOME, OPEN CONCEPT LAYOUT, APPROX. 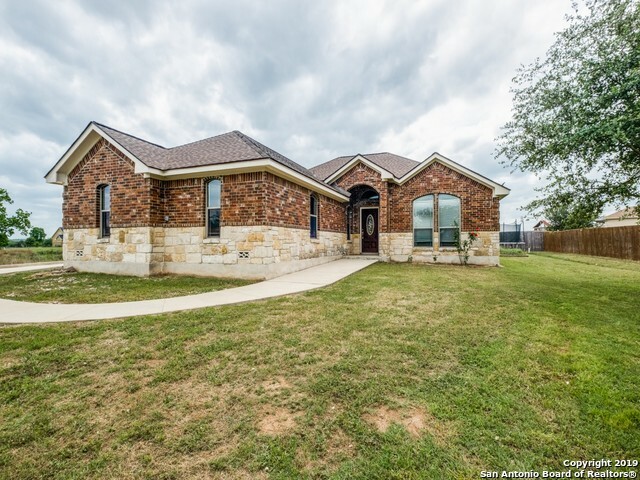 1275 SQFT ON .51 ACRE LOT HAS 3 SIDES MASONRY WITH ALL TRENDING UPGRADES FROM CUSTOM CABINETS, GRANITE COUNTER TOPS, TILE FLOORING AND UPDATED FIXTURES. COME SEE IT TODAY, IT WILL NOT LAST!!" "Approx. 9 acres of Texas can be yours. This house is looking for that owner that wants to own some land in Texas. Lots of room to grow. A rare find with this lot size, don't let it pass you by." "Beautiful home with 3 bedrooms and 2 bathrooms on a large lot with lots of mature trees. Home has handicap accessible ramp to front door and accessible master shower. Don't miss this opportunity to live in the country side of this beautiful town." "Country Living in Lytle. corner property, clean and leveled. Great Rehab home priced reasonably. Owner Finance with 50% down. Room sizes are estimated and not measured."